Emily introduced me to sushi a few years ago and, since then, we’ve gone to about six or seven places in the Boston area and never more than once. None of the places we went to were necessarily bad (except for the one in Somerville where the waitress corrected Emily in the most condescending manner possible. Good fish though. ), but there was just nothing there to make us come back. But now I think we’ve finally found a place that’s worth revisiting a second time. We went to Cafe Sushi in Cambridge tonight and it was one of the better sushi places I’ve been to, either in Boston or anywhere else. It’s a middle-sized place, definitely larger than some of the hole-in-the-walls we’ve been to recently, but nowhere near as large as Fins. The waitstaff were friendly and helpful and it’s convenient to get to, especially for the car-less. Now, the fish was good and I enjoyed the rolls, but that’s not what sold me. They have craft beers! From Japan. Of course, I managed to go through almost their entire selection of Japanese beers, but not all, so I still have a reason to go back again. They serve beer brewed by Hitachino Nest, which has the most adorable owl mascot. I tried the Sweet Stout, the White Ale and the Red Rice Ale, all of which were uniquely flavored and delicious in their own ways. The White Ale is crisp, sweet and refreshing. 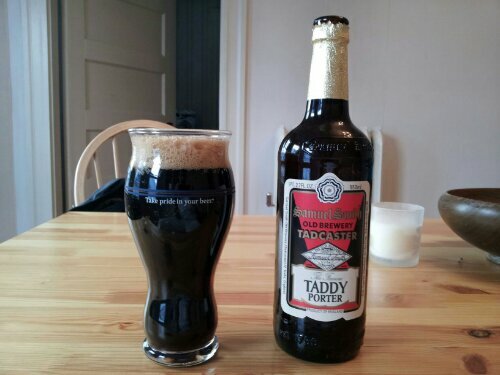 The sweet stout, very smooth, mellow and also very refreshing. The Red Rice Ale was extremely fruity and sweet. Emily said it tasted like gummy bears and I think that’s the best possible description. It was a great trio of beers and if I can find them outside of Cafe Sushi, I’ll definitely pick them up. If you want great sushi, great beer and without a hefty price tag, I recommend checking out Cafe Sushi. I give it four owls. In their nests. Eek! They even have a little owl icon for the Chrome tab. Like many geeks, I am not, nor have I ever been, very comfortable in my geeky obsessions. They are hidden away, buried and untalked about. I’m not just talking about my love of movies and science fiction and the occasional computer game. I have secreted away still geekier joys, of which I will not speak. But let’s say, hypothetically, that I enjoyed something like….model building. Hypothetically. Today, I went to Pandemonium Books and Games (hypothetically) to buy a model. A lot of gaming shops will also have tables and space available for people to gather and game and have fun. As I stood there, clutching my Tyranid Pyrovore detailed metal cast kit and medium dry brush, I snorted at the kids playing Magic the Gathering and thought, Nerds, before going back to looking for Warlock Purple paint pots. Now, I know I’m in no position to judge. I have a Spiderman Beanie Baby, an action figure of the Queen from Aliens and an un-assembled Imperial Guard engineseer on my desk. I’m firmly a geek. But my own unwillingness to admit that this to anyone who I haven’t carefully vetted makes me extremely dismissive of people who I consider geekier than me. And that’s a little bit shameful. I have no right to judge other people’s hobbies. I shouldn’t pretend I’m not one of them and scoff at them and give them odd looks. At the very least, I’ll take this space to admit my inner geek and to formally apologize to everyone over the past year that I’ve scoffed and snorted at. Here’s to being more accepting of my own kind.